These are stunning! We’ll be out West next summer, and will probably visit Vancouver, this park will be a must. Beautiful pics!! Such creative works of art!! Can’t miss this one out every time I visit Stanley Park. We just celebrated the 125yrs anniversary last month. Beautiful pictures. Yes, a wonderful place for such a long time. I love your photos of Canada. This is one place that I have been, and I appreciate seeing these memories as I don’t have photos from that visit. Thanks. I know that feeling — I’ve been to many places across Canada without a camera in hand but wishing I had one with me. Those are some great photos, thanks for sharing! Aleya, yes, the Park is one of the most graceful places. Elizabeth, this fits in well with your new blog. Best of luck with it and hope you have fun. These Totem Poles are stunning! I can’t imagine what they would be like in person. They look so tall. My favorite has to be the Eagle with the outstretched wings. The colors and patterns on the wings are detailed and grab your eye. I wonder how tall these Totem Poles are! They’re very impressive and the one you mention is quite striking. I believe most of these poles are about 15 to 20 feet (4.5 to 6 meters) high. Delighted to have a Canadian read even a small portion of my blog as I refer to Canada as the Motherland. Maternal Grandmother from Calgary (never knew her) and my cousin in Vancouver plus Uncle who lived just about everywhere, he was heavily involved for First Nation peoples so of course your wonderful pictures of Totums stopped me in my tracks. Awesome! Have a happy weekend. I agree that it’s an interesting thing how we all come upon bits here and there on the Internet. It was actually your “vintage” tag that led me to your post and site. The vintage fabrics and some of your beautiful uses of the fabrics then caught my attention once I happened upon the site. Very nice and full of creative expression and possibilities! I’m not Canadian, by the way — just an American that appreciates that country north of us. Thanks for your very nice comments. This blog caught my eye because of all the beautiful color. 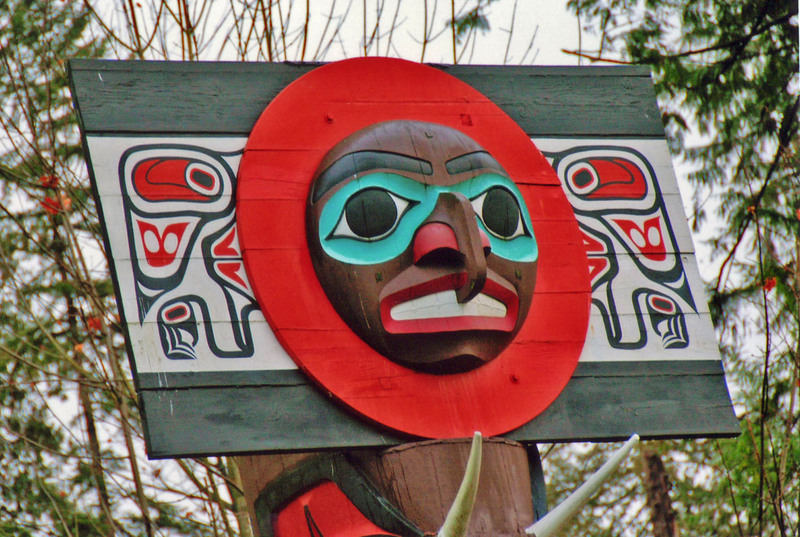 It’s amazing to see these gorgeous totem poles that represent so much for Native Americans. 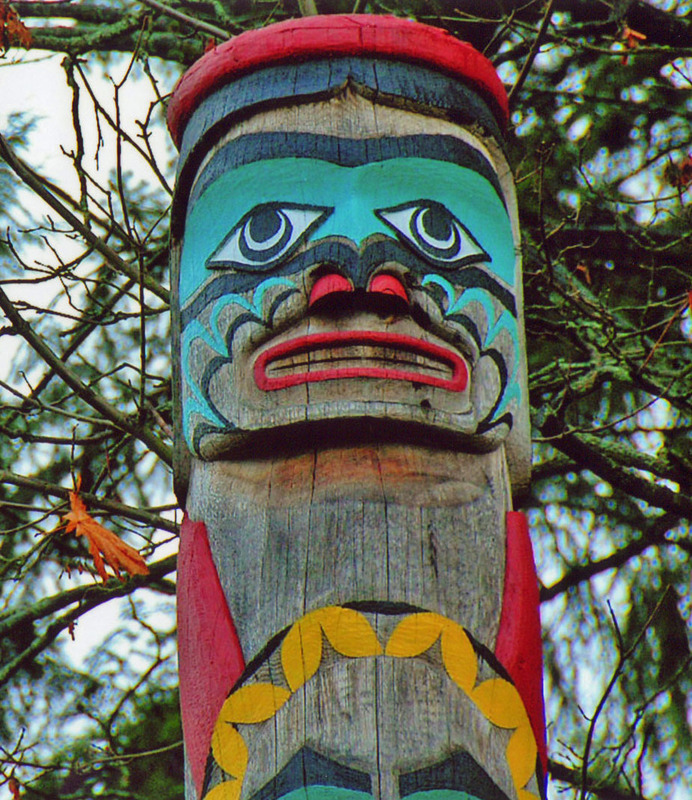 These specific totem poles are from the people of the Pacific Northwest. As a result of you liking my blog I have now spent an enjoyable hour or so reading yours. Gorgeous photos . We visited Vancouver/Vancouver Island several years ago now but your photos are far better! I too work in Law in Cambridge England (secretary). You are wasted – you should have been a photographer !